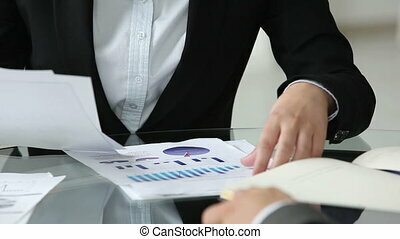 Business people and financial reports at office. 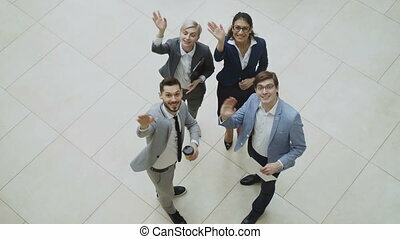 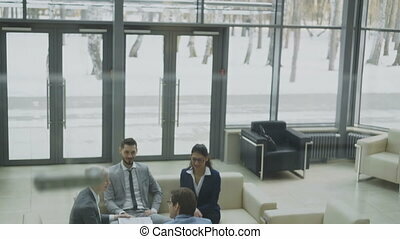 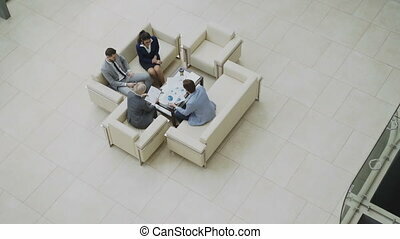 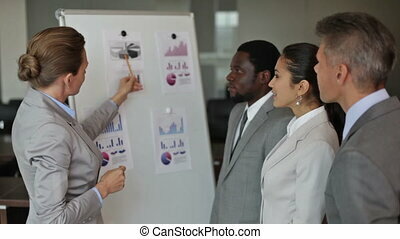 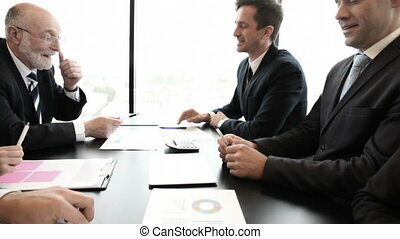 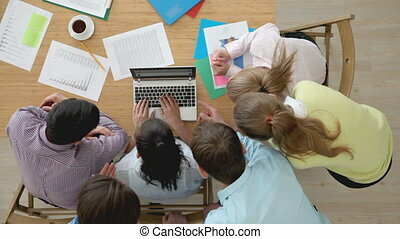 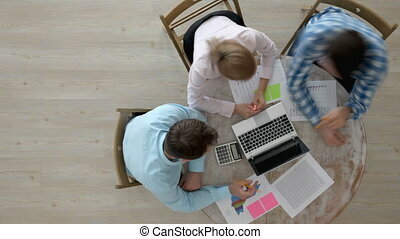 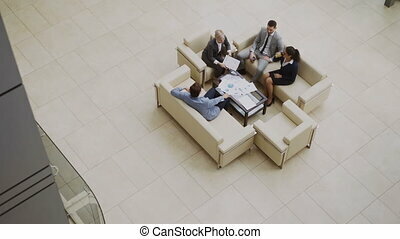 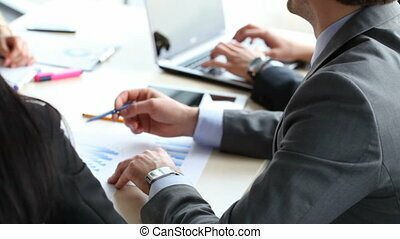 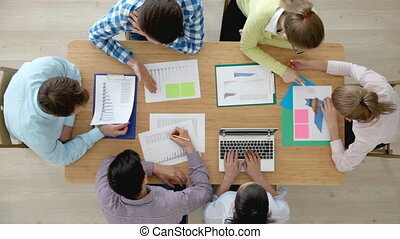 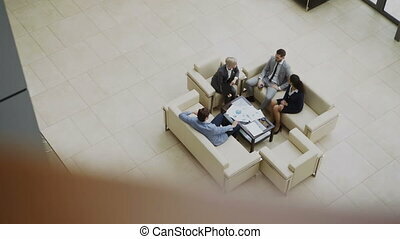 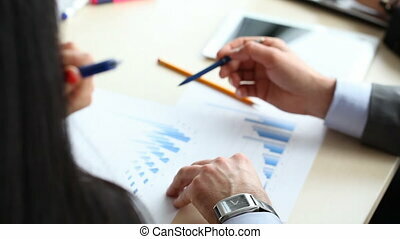 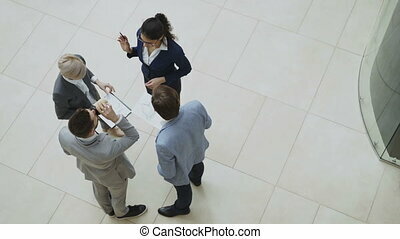 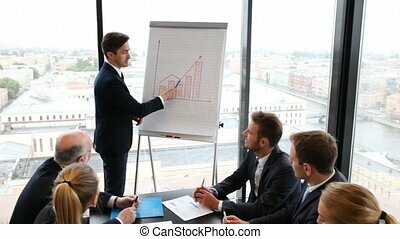 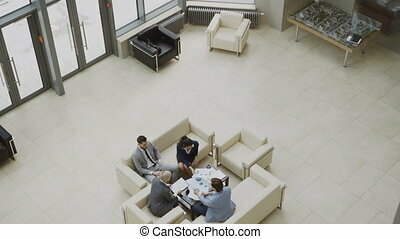 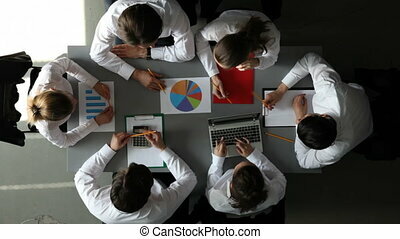 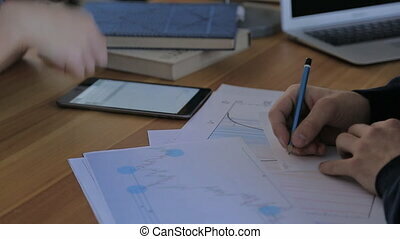 business people team work on conference discussing financial diagram, graph, charts, businesspeople meeting sitting at desk office point finger at graph document. 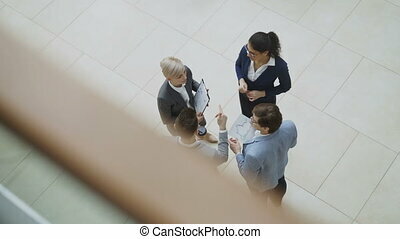 They talk to each other, share ideas and new versions of the upcoming period. 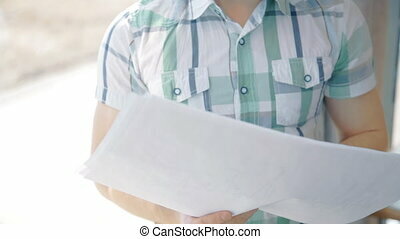 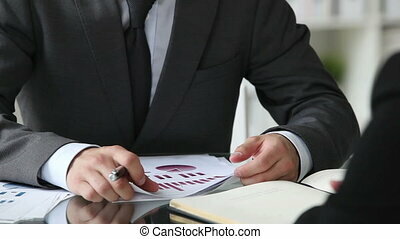 Businessman checking financial reports near the window in the office. 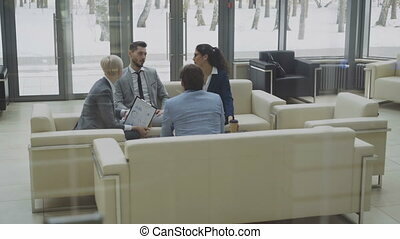 Concept of: business people, office interior, paper report.